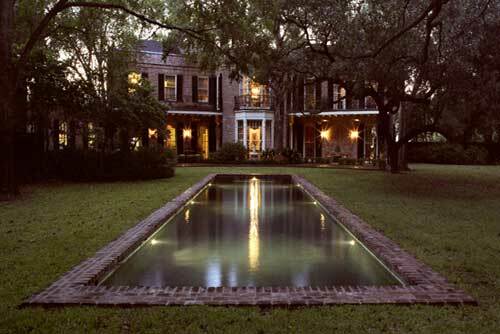 The owners of this Historic residence desired a reflecting pool. 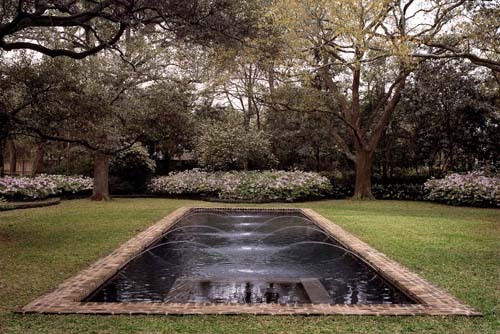 The pool is an elongated rectangular form floating in an expansive lawn along the main axis of the back garden. The wide coping is an antique brick matching the residence. A flush spa recedes from the view as large oak trees project shadows throughout the day. Waterline tile and plaster color were selected to make the pool blend with into the lawn and reflect the natural setting.